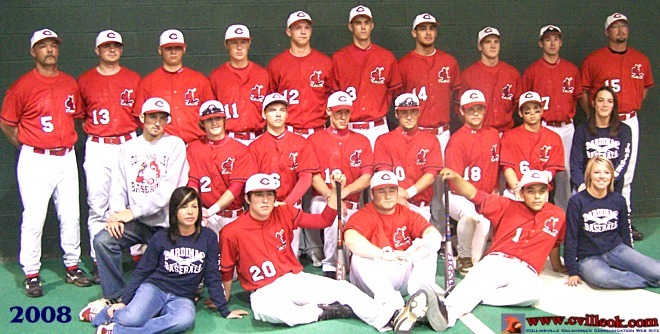 2008 CHS Varsity Baseball Team: L-R Front Row: Bethanie Aguilard, Brock Werdel (20), Tyler Tolleson (9), Larry Howard (1), and Amanda Davis. Middle Row: David Prock, Brad George (2), Randy Rogers (16), Riley Murr (19), Lane Coulter (10), Jordan Pasquale (18), D.J. Neighbors (6), and Kelsi West. Back Row: Head Coach Tony Reeder, Coach Matt Davidson, Bobby Shoate (8), Trevor Rabbitt (11), Garrett Tole (12), Kyle Keith (13), Harrison Mendez (14), Kevin Phillips (4), Garrett Thurman (7), and Coach Damon Herald. 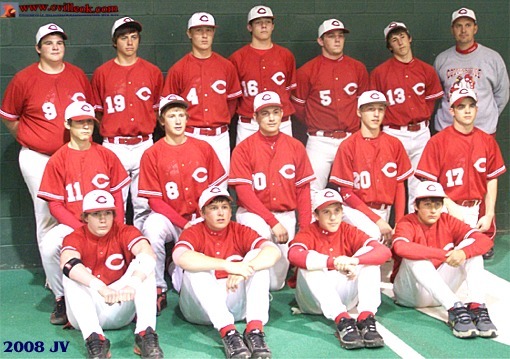 2008 CHS JV Baseball Team: L-R Front Row: Trent Lee (12), Aaron Fiegel (3) , Dillon Hill (1), and Evan Roberts (7). Middle Row: Eric Chronister (11), Joe Keith (8), Matt Lister (10), Channing Newland (20), and Tanner Robb (17). Back Row: Bryce Tole (9), Jake Selensky (19). Trevor Rabbitt (4), Cody Moore (16), Cody Crown (5), Josh Pennington (13) and Coach Art Smalygo. 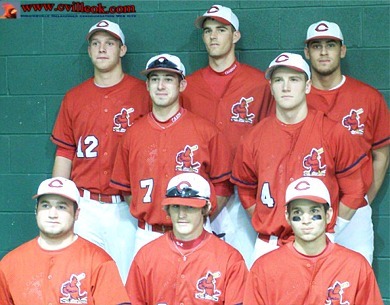 2008 CHS Baseball Seniors: L-R Front Row: Tyler Toleson, Brad George and D.J. Neighbors. Standing: Garrett Tole, Garrett Thurman, Kyle Keith, Kevin Phillips, and Harrison Mendez.